Thursday, October 3rd, 2019, 7:30 p.m. Inspired by Gioachino Rossini's artistry in adding colour to his "Petite Messe Solennelle" using this particular instrumentation Tadeusz Klaus wrote his Requiem for alto singer, mixed voices, piano and harmonium. It saw its first preformance at the Eskilstuna monastery church in November 2018 in Sweden and will follow here movements from Brahms' "Ein deutsches Requiem" adapted for harmonium solo by Sigfrid Karg-Elert and harmonium piano duo by August Reinhard  just to show how intense and impressive the transcription of an orchestral work to chamber music can be. Friday, October 4th, 2019, 3:00 p.m. Towards the end of the 19th century a parlour reed organ and a piano were popular in middle or upper class homes, played by the daughters to show their education in music. Due to the lack of sound recordings you had to play an instrument yourself to reproduce the music you admired. So transcriptions of orchestral works and chamber music made a lion's share of the scores edited. Some examples will allow us to take a glance at this musical practice from the historic and sociological point of view. 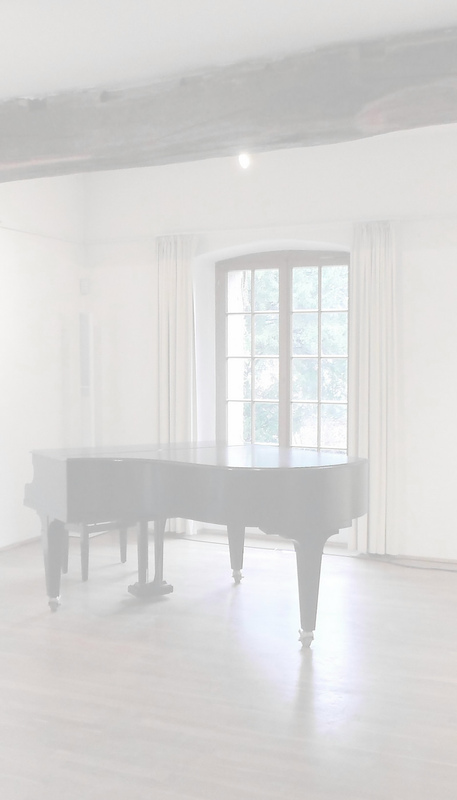 Friday, October 4th, 2019, 7:30 p.m.
"Immortals" the composer August Reinhard called his collection of famous works he transcribed for piano and harmonium duo. It contains pieces originating from ochestral as well as chamber music of the classic and romantic period and shows his brilliant craftsmanship. To prove this our artists of the day select a number of popular compositions to present to the audience. Saturday, October 5th, 2019, 3:00 p.m. The flair of Paris has been captured by many composers, musicians and writers throughout the ages. A wide range of solo and duo music starting with Chopin and Debussy and ending up with Edith Piaf is framed by poems, lyrics and short stories  vivid snap-shots of the French way of life. Saturday, October 5th, 2019, 7:30 p.m.
Presenting a new programme Tom and Jonathan Scott join us again at this year's festival. Original masterpieces of the romantic period are complemented by new striking arrangements penned by Jonathan himself. You will be thrilled by their expressive and virtuoso performance. Sunday, October 6th, 2019, 11:00 a.m.
Dirk Luijmes is not only known as a distinguished interpreter of contemporary harmonium music but also as an experienced researcher for lost music scores of former times. He has already recovered many precious treasures from the archives and reconstructed them for practical use. Just listen to these romantic treats! Sunday, October 6th, 2019, 3:00 p.m.